What is the one big risk that Certificates of Deposit (CDs), fixed annuities, and fixed indexed annuities share? Interest-rate risk. For example, you could miss out on higher interest credited to your savings if current rates increase during the penalty period of the fixed interest-bearing vehicle of your choice. 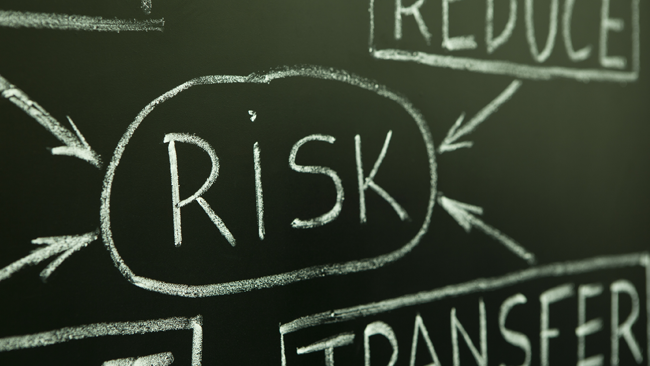 With CDs, the risk is often short-lived because of the short-term nature of the vehicle. However, if you purchase a 12-month CD at 0.75 percent interest, and six months later the going rate for the same CD is 1 ½ percent, you have missed out on the opportunity of earning the higher rate until your CD matures. Hopefully at that time you are able to take advantage of the higher rate assuming it is still available. Fixed annuities often have a longer penalty period, and therefore have an even higher interest rate risk. A five- to ten-year penalty period is common for a traditional fixed annuity. If rates increase during the penalty period, you may be forced to wait several years before you can elect an alternative vehicle, or you may be faced with losing a percentage of your money for a premature withdrawal. The trade-off for the longer penalty period is usually a higher interest rate credited to the savings. Traditionally, the longer the penalty period is, the higher the interest rate will be. However, considering today’s ultra-low interest rate environment, longer term annuities pose an incredible interest rate risk. We are currently experiencing a period of time that is anything but typical. Since 2003, we have seen a low interest rate period that has not existed since 1967. The 10-year U.S. Treasury Note is hovering just above 2 percent. Annuity products purchased today will be backed by these low-yielding bond portfolios for most of the penalty period. Fixed indexed annuities offer an opportunity to earn interest based on an external benchmark that is often a stock market index. Indexed annuities are designed to give the consumer an opportunity to earn higher interest than what would otherwise be available. A reasonable expectation for a fixed indexed annuity would be 1 to 2 percent above the fixed rate on that particular annuity. For example, if a five-year annuity offered a fixed rate of 4 percent today, it would be fair to make the assumption that an indexed annuity could give the consumer an opportunity to earn 5 to 6 percent over the same period of time. However, the actual rate earned could be less. Now that fixed rates have dropped tremendously, so have the crediting rates on new indexed annuity products. They are all relative. Today’s indexed products will provide an opportunity, not a guarantee, to earn 1 to 2 percent more than the fixed rates that are available. A five-year product with a fixed account of 1 ½ percent will mean that the expectation for an index annuity would be about 2 ½ to 3 ½ percent. Considering that the national average interest rate for a 5 year CD is about 1.5%, indexed annuities are still a popular alternative. However, whether a traditional fixed or indexed annuity is purchased, the bond portfolio backing the products will be tied to the same low-yielding portfolio. So, if a consumer purchases a 10-year product or longer, and new money rates increase during the penalty period, the consumer will experience the interest-rate risk I mentioned earlier. Additionally, the product renewal rates for a recently purchased product will be minimally affected by the future rate environment for new money purchases. They will be tied to the original portfolio that backs the in-force policy. Meanwhile, consumers purchasing the same product with new money during an increased rate period will have a more favorable experience with their purchase. Still, according to industry research, the most popular fixed indexed annuity products sold today have penalty periods of around 10 years. Many of these products have a premium bonus added to the policy. Because of the bonus, these products typically have lower crediting rates than what are found on products that do not offer a bonus. In some cases, an indexed annuity product with a shorter penalty period not offering a bonus will give a consumer an “opportunity” to earn higher interest than one with a bonus during the exact same crediting period. Unfortunately, the bonus on many fixed indexed annuities is similar to a one-year free subscription to satellite radio (that is basically an added benefit for a long-term lease) in an otherwise undesirable car. One year later, when the satellite radio is gone, you are stuck with a long-term lease. This is just a reminder that flashy offers today may not be in the best interest of you or your client in the long run. I’ll relent, sometimes a bonus is necessary. If a consumer is attempting to recuperate losses experienced in another investment, it may make sense. On the other hand, it may make sense if the consumer would like to overcome surrender charges from a less desirable product in order to purchase a better product. However, don’t use it as a crutch to make a sale, and if you are replacing another product be sure you are not encouraging your client to trade in their car with the expired satellite radio for another car with the same terms. Many financial professionals struggle getting in front of the right target market for IUL, until now. Download this valuable e-book "The Five Keys to Selling IUL Virtually" and you'll discover a better way to prospect and grow your business.